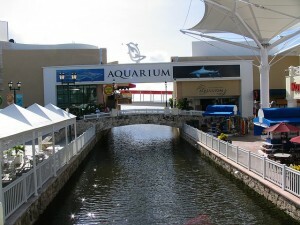 If you are planning a trip to Cancun, Playa del Carmen or the Riviera Maya, surely one of the reasons you chose this area was because of the aqua blue waters of the beautiful Caribbean Sea, and you would probably like to experience the coral reefs, fish, sharks, and other marine life that live below the surface of the ocean. 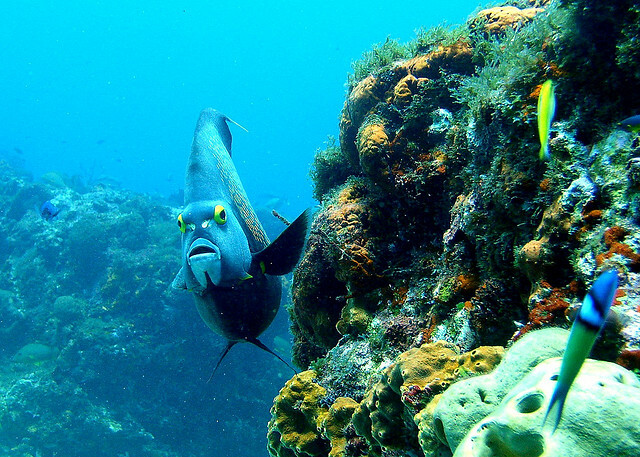 Whether you are traveling with young children, elderly relatives, or anyone in between, there are many different ways to witness life under the sea in the Mexican Caribbean. Scuba diving is probably the best way to experience marine life. However it is also the most complicated due to the equipment and certification that are required. 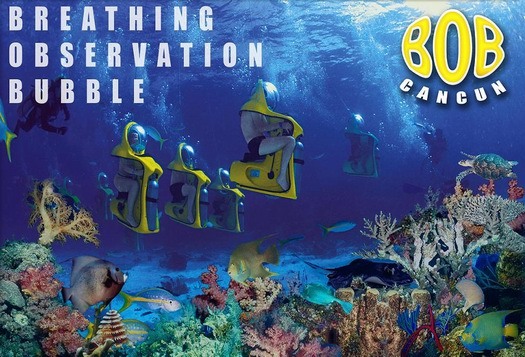 That being said, even if you are not certified in diving, you can rent equipment and obtain short term certification which will be valid for the duration of your visit. Snorkeling requires less equipment than diving and no training. 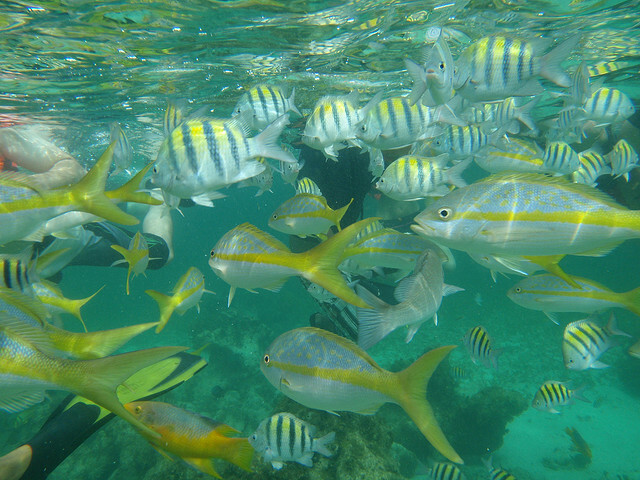 Just put a mask on your face, fins on your feet and a snorkel in your mouth. If you are not a skilled swimmer, you can wear a life vest and float leisurely right on the surface of the water. From this perspective you will have a bird’s eye view of all of the ocean’s inhabitants below. In Cancun, Playa del Carmen and the Riviera Maya there are many ways to venture under the sea without ever having to get wet, including submarines and glass bottomed boats. This option is perfect for families of small children who are not yet ready to dive or snorkel. They will still be able to experience the sea’s wonders, including colorful coral reefs, turtles, stingrays and sand sharks. B.O.B. or Breathing Observation Bubble is an underwater scooter or mini submarine which is very easy to operate. 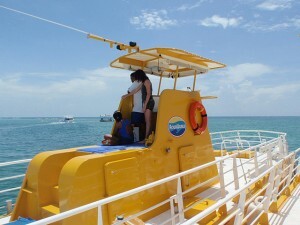 The passenger’s head is in a large air helmet while the rest of the body is exposed to the warm ocean water. This experience could be compared to diving, however you will only need to fill out a medical form and receive 10 minutes of instruction. Even if you don’t want to go anywhere near the ocean, you can still witness the Caribbean’s many wonders at Cancun’s Interactive Aquarium, located in La Isla shopping mall. 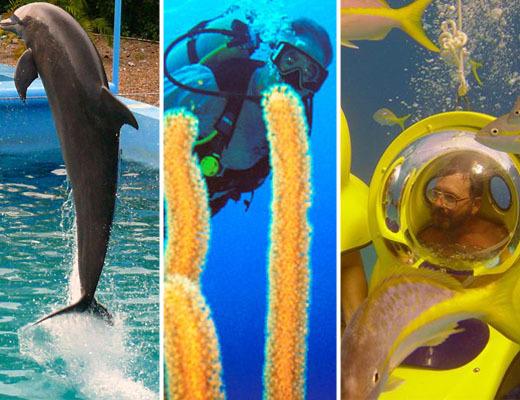 Swim with a dolphin, feed a shark, and see and sometimes even touch jellyfish, moray eels, seahorses and many different species of tropical fish. *It is important that we always follow instructions and regulations that are created to protect our environment such as using biodegradable sunblock. Y.H. would like to thank Alec Saunders, Gate-Way, and Johnny Lang for their beautiful photos. What is your favorite way to experience life under the sea?